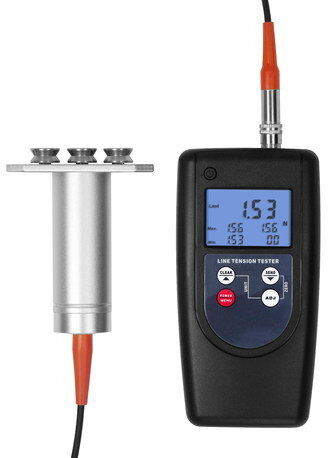 HTS Dial Tension Gauge is used in testing the tension of electronic switches, micro-switches, valves, automatic telephone equipment connector and pressure mechanical pressure equipment, other precision pressure and so on. 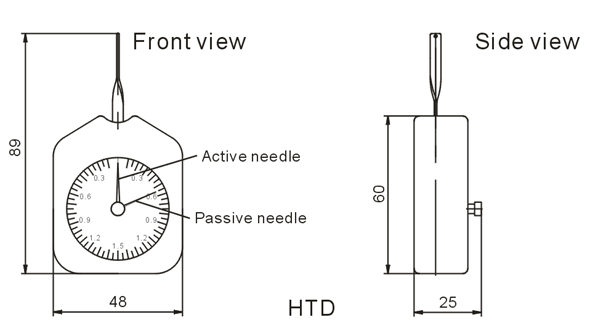 When testing, only use active needle to dial the tested thing to make it move from stationary state to the needed position. 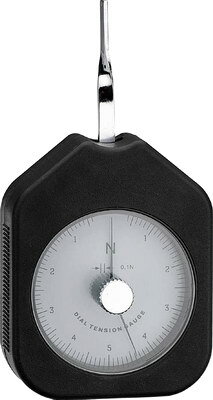 Dial Tension Gauge not only can be tested from clockwise direction, but also can be tested from counterclockwise on the condition that the active needle arm must be always upright with the direction of push pull force. 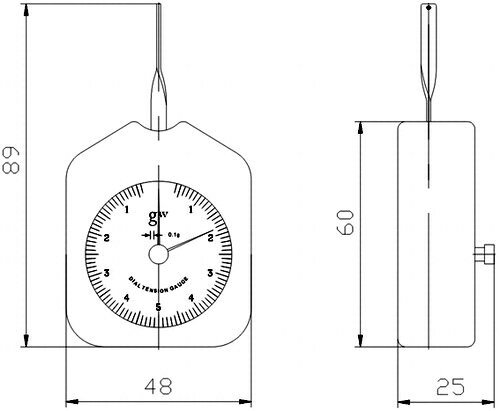 Dial Tension Gauge include single needle and double needle. 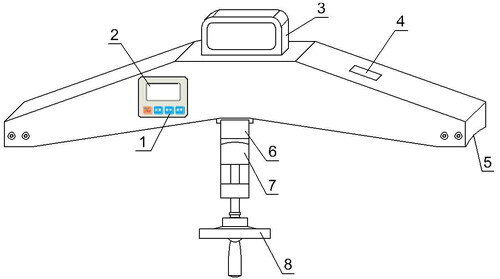 The double needle Dial Tension Gauge would be stopped to move from passive needle after getting the highest numerical value, to the effect that the user can read the testing value conveniently. 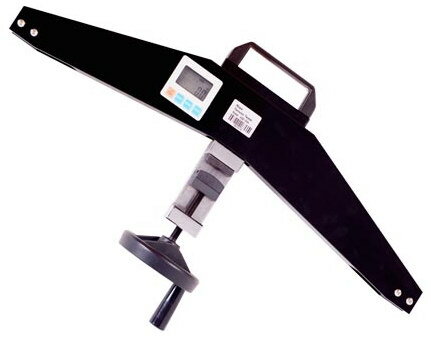 HTD Dial Tension Gauge is used in testing the tension of electronic switches, micro-switches, valves,automatic telephone equipment connector and pressure mechanical pressure equipment, other precision pressure and so on. The SRTS series Digital Tension Meter is a hand-held device which accurately measures the running as well as static tensions of a wide variety of process materials including yarns, fibers, wires, optical fiber. * It employs the ‘three-roller principle’ of tension test. * Power is supplied by 4xAAA alkaline battery. * With 4 measurement unit for selection, N, kg, lb, g.
* Current Value, Max. Value, Peak Value, Min Value can be displayed at the same time. 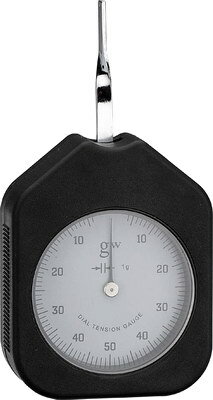 * The Meter takes 62 tension measurements per second and displays the average of these measurements. * Optional data output, by USB cable or Bluetooth adapter. SRT series Rope Tension Testing Instrument can be applied to various occasions, such as power industry, telecommunications industry, transportation industry, glass curtain wall decoration, ropeway industry, construction industry, pleasure grounds, tunnel construction, fishing, major research institutions and teaching institutions, testing institutions and other occasions involved with the tension of ropes and steel wire ropes. 1. It has the rope structure with tension force, and can be measured directly without the need of being taken apart. 2. It has the light weight, simple structure, convenient operation, and applies to any situations. 3. It has the stable performance, high measurement accuracy, with automatic system compensation function. When the specification of the tested rope is the same as the rope tension testing instrument rope number, the measurement accuracy can reach 2% error or less within the rated measurement range. 4. It has broader range of measurement, with 15 kinds of rope-diameter measuring functions. 5. Applied range: applied to flexible, stretched ropes, such as various steel wire ropes, high-strength ropes, etc. 6. Accuracy grade: 2~6% of maximum function (depending on the rope form and features).